Tickets are now on sale for the end of year event on Wednesday 15 May (8pm - 3am), which takes place on campus (in and around MDX House). 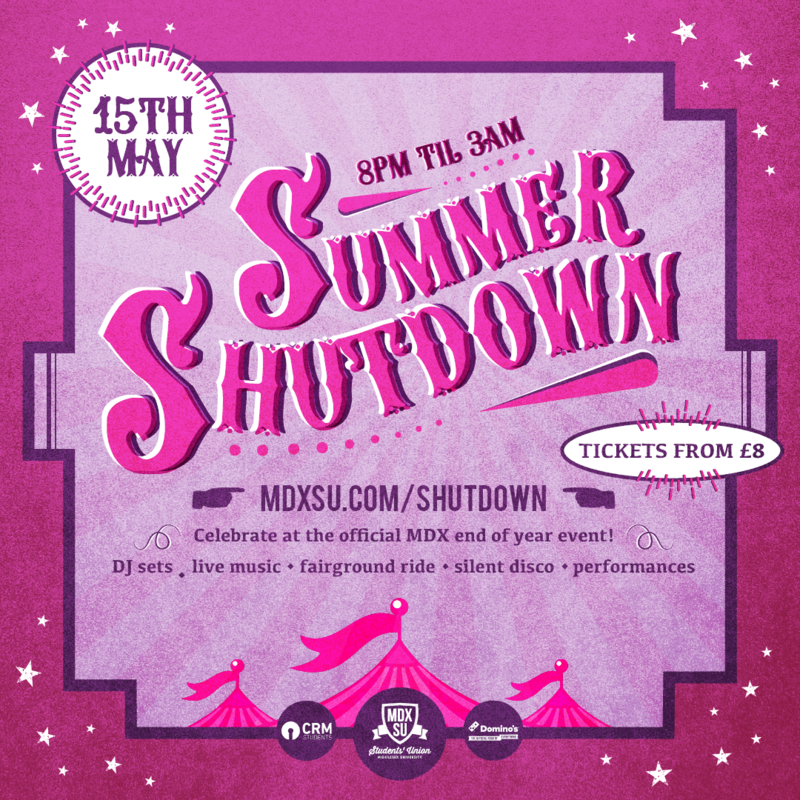 We're bringing back Summer Shutdown with a bit of a circus twist, so there will be a fairground ride and games, silent disco, food court, performers and live music. Limited Early Bird tickets are available from £8, which is almost half price - and includes some extra freebies and perks too!